Location of an inner organ in a CT image is the basic information that is required for medical image analysis such as image segmentation, lesion detection, content-based image retrieval, and anatomical annotation. A general approach/scheme for the localization of different inner organs that can be adapted to suit various types of medical image formats is required. 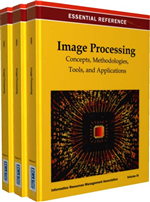 However, this is a very challenging problem and can hardly be solved by using traditional image processing techniques. This chapter introduces an ensemble-learning-based approach that can be used to solve organ localization problems. This approach can be used to generate a fast and efficient organ-localization scheme from a limited number of training samples that include both original images and target locations. This approach has been used for localizing five different human organs in CT images, and the accuracy, robustness, and computational efficiency of the designed scheme were validated by experiments. In this chapter, we provide an overview of a machine-learning-based localization approach. First, we discuss the background of the automated organ localization methods in computed tomography (CT) imaging. Because this is a large topic, we focus only on the ensemble-learning-based approach. Second, we give a technical overview of our approach (Zhou, 2010) as an example and describe in detail the steps involved in this approach. Third, we describe the experiments in which we evaluated the performance of the proposed organ localization approach using ensemble-learning techniques. We validated the effectiveness of the schemes in localizing five solid organs from the torso CT scans. Finally, the article concludes with a discussion of the performance of the proposed scheme and future directions in this research. Rapid organ localization (within 1 min) using a standard computer. 3D images of anatomical structures of a patient are critical factors that support diagnosis, surgery, and therapy in clinical medicine. A modern radiographic CT scan can generate a 3D volumetric image that provides detailed anatomical information of a human torso within 10 s. However, a long time and experience are required to interpret such volumetric CT images by the traditional method to identify suspicious regions. Therefore, development of computer-based image analysis algorithms and visualization tools is expected to enable doctors increase efficiency and accuracy of interpretation, and reduce tedium and oversights during CT image interpretation. A fundamental component of such a computer system is accurate and efficient organ segmentation. Separating a target organ region from the background by identifying the contour (surface in 3D) of the organ region is the major goal of organ segmentation. However, it may not be feasible to search for all voxels in a CT scan to determine the correct contour of a target organ. Organ localization by detecting the center position and deciding the range (a 3D bounding box) of the target organ in a CT scan is a practical pre-processing step that can be very useful for facilitating accurate organ segmentation. Such a 3D rectangle not only increases the accuracy and reduces the difficulty for further image segmentation, but also describes local geometry and density properties that can be used for diagnosis. In practice, a torso CT scan always shows the complex anatomical structures of all inner organs. Thus, automatic localization of different organ regions in torso CT scans is a very difficult problem that remains to be addressed.